Supports energy and vitality levels. Nourishes the female nervous system. L-arginine helps facilitate blood flow to the reproductive area and promotes circulation. Maca root may provide a natural means for improving sexual desire and performance. 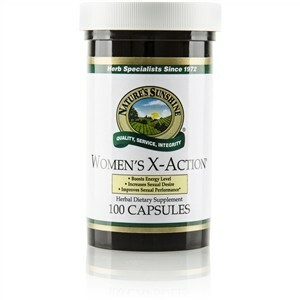 It may also enhance physical energy and endurance and help buffer the effects of stress. Maca root extract, l-arginine, eleuthero root, oat straw extract, red raspberry leaves, damiana leaves, licorice root and sarsaparilla root. 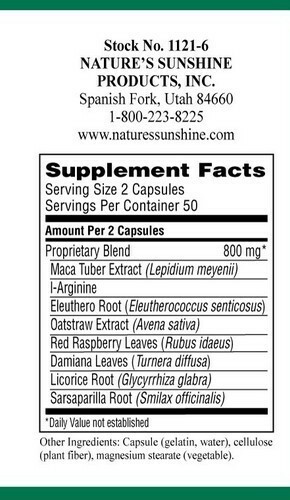 Take 2 capsules with a meal three times daily.